Dark and luxurious Roses would finish the most sophisticated look. 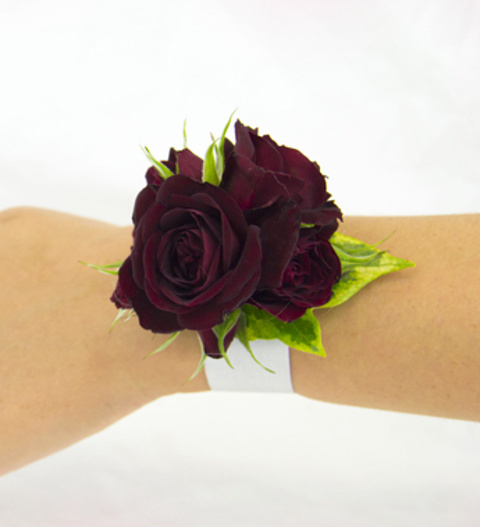 Deep red Roses are complimented with fresh green foliage to complete this timeless corsage. This product expertly crafted by professional florists and hand delivered.